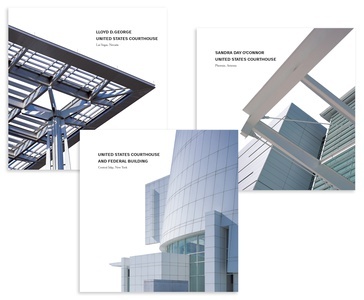 General Services Administration "Design Excellence, Monographs"
The firm was selected on two of four architect teams for a five-year indefinite services contract to improve the image of the GSA in graphic publications, new buildings and renovations of existing facility lobbies. 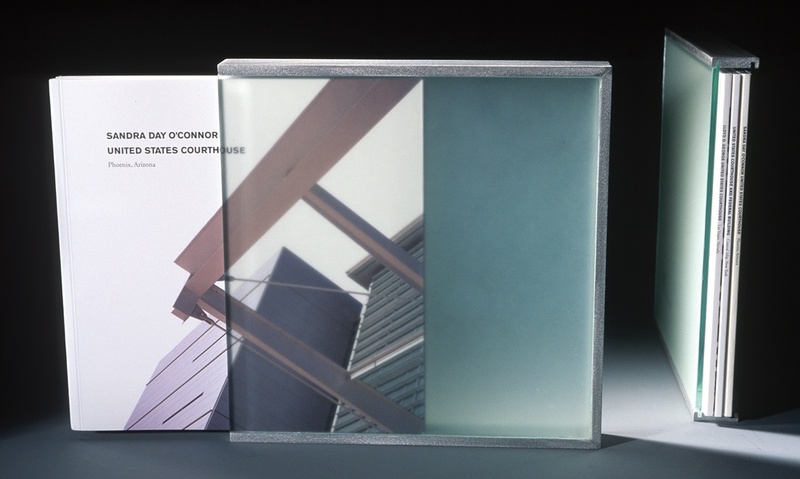 One of First Impressions’ key objectives is to improve design quality in all public sector projects. 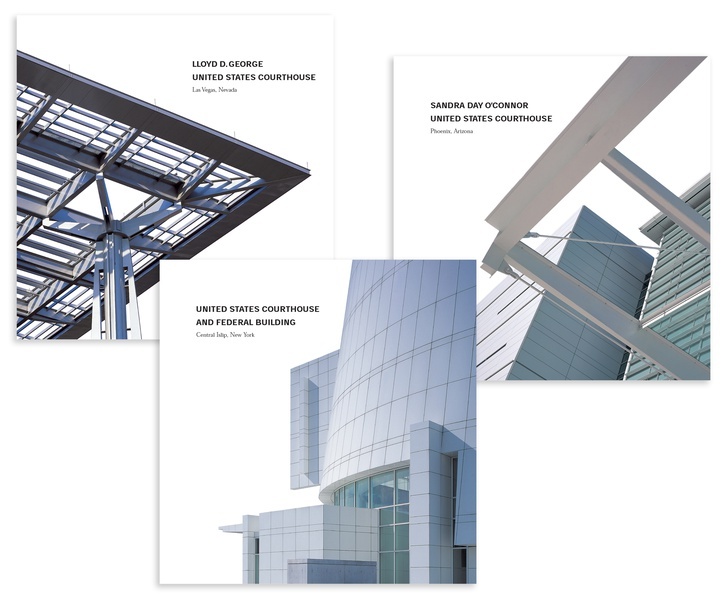 To celebrate the design of several architecturally distinguished new federal courthouses, and to provide a tangible printed record of the projects, we designed a group of monographs, as well as the graphic standards for the ongoing series. The Islip, Las Vegas and Phoenix Courthouse monographs are presented in an elegant slipcase made of aluminum and glass which reflects the modern building materials.